Perfect Home for Starters or Downsizers in Green Twp! Wow! Look at these freshly refinished hardwood floors gleaming in the late afternoon sunshine! With 3 bedrooms and 1 full bath on the main level and the option for a 4th bedroom (or family room) in the partially finished, walk-out basement, this recently polished treasure might be the one you've been waiting for! 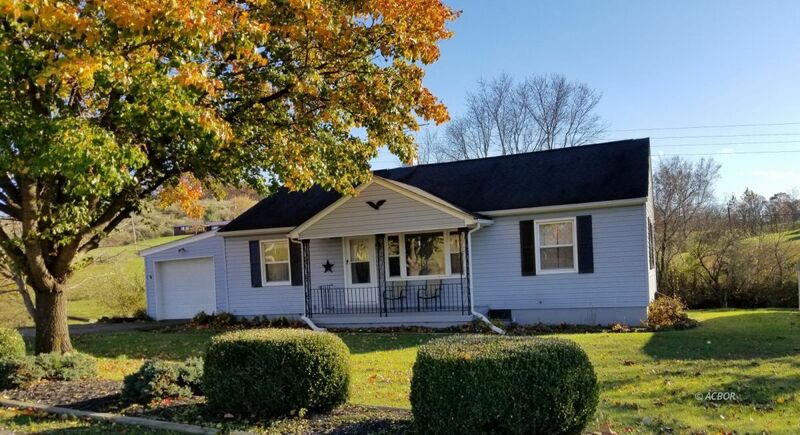 Features include a full-length rear deck, perfect for entertaining, eat-in kitchen, dining room w/glossy pine car-siding, and all appliances included (+washer/dryer per owner). Stay dry on rainy days with a 1-car attached garage w/remote opener. 2 asphalt driveways double the parking, and located on a spacious 0.4-acre (m/l) lot only 2.6 miles from Raccoon Creek County Park. Call for more information or to schedule your private showing today!